Galbulimima baccata (Himantandraceae) is considered to belong to one of the world’s most primitive flowering plant families. It is a tall tree and grows in well developed rainforest in north-east Queensland and south-east Queensland. 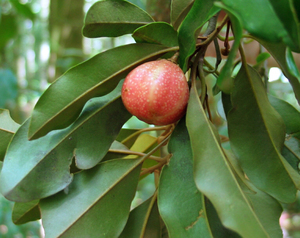 Although called many names, it is commonly referred to as either “Magnolia” or “Pigeonberry Ash”.